Sound Engineer Sergio Reyes-Sheehan and Sound Supervisor Adam Howell’s Collaboration Creates Stylish Equipment Package for Popular Lifetime Network Reality Fashion Competition. When the Lifetime Network’s hit show Project Runway: All Stars hit the catwalk for its fourth season, A1 and Lead Board Mixer Sergio Reyes-Sheehan and Audio Supervisor Adam Howell turned to industry leaders DPA Microphones, Lectrosonics and Sound Devices to create a stylish audio equipment package for the show. Project Runway: All Stars is a spin-off series based on Project Runway. Season 5 featured 14 of the most talented Project Runway designers who returned to compete in the biggest and most competitive season ever. In this cut-throat season, former standout designers came back to New York to compete for runway gold. 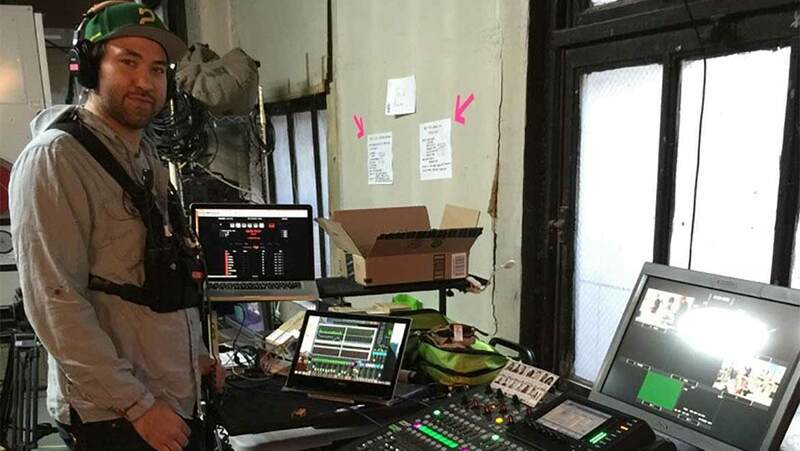 In addition to the DPA microphones, the team used a selection of Sound Devices mixers and recorders, including a rack-mount 970 recorder, a 664 and two 633 field production mixers, two 788T recorders, two 552 field mixers, and two MM-1 mic preamps. To that, the team added four Lectrosonics Venue rack receivers housing five different blocks (19, 21, 22, 25 and 26) for the show’s on-camera talent. Reyes-Sheehan mixed the main board and Venue system into the Sound Devices 970. The board and racks were all on the Dante™ network, which served the teams’ needs very well. The field mixing bags, used to mix and record on the fly, were each designated to a different camera. These signals were captured in IFB mode to simplify the amount of transmitters on site. The alternative was either mono or two-channel hops from each bag and an IFB transmitter for production to monitor the scene.